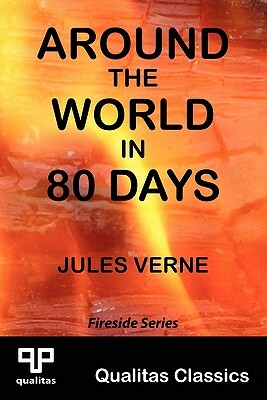 Around the World in Eighty Days is a classic adventure novel by the French author Jules Verne, first published in 1873. The story follows Phileas Fogg of London and his newly employed French valet Passepartout as they attempt to circumnavigate the world in 80 days on a 20,000 wager (equal to millions of dollars today) made by Fogg's friends at the Reform Club. This publication of Around the World in 80 Days is part of the Qualitas Classics Fireside Series, where pure, ageless classics are presented in clean, easy to read reprints. For a complete list of titles, see: http: //www.libraryoftheclassics.com.